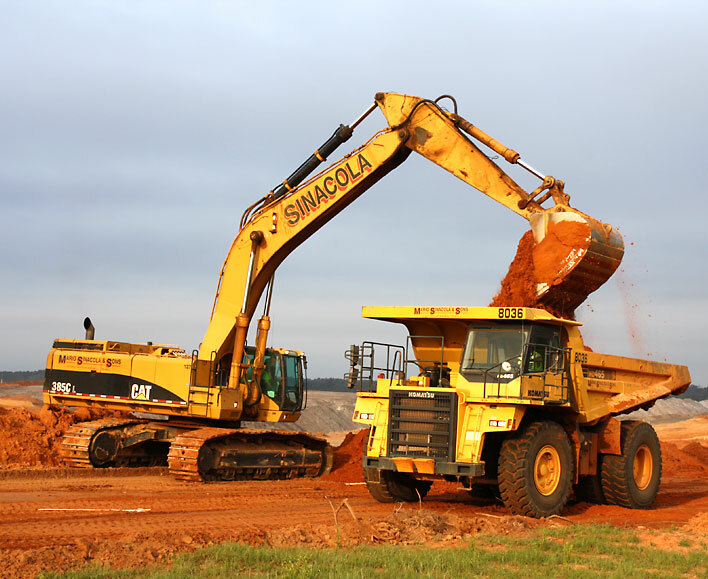 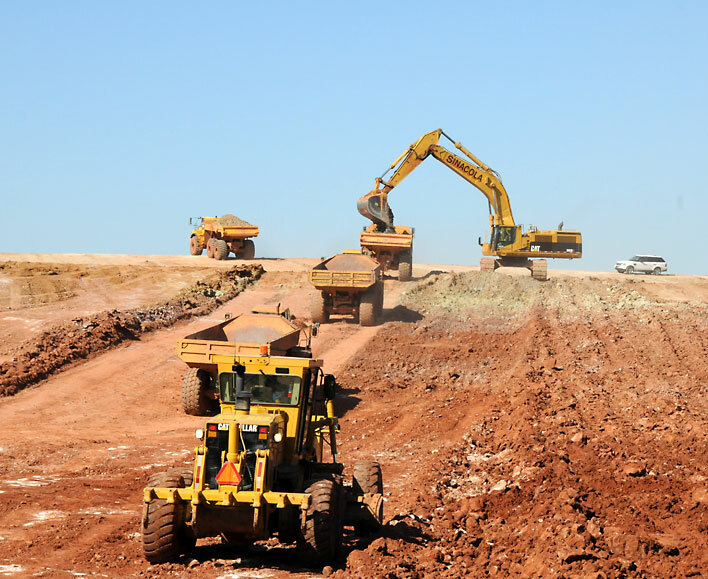 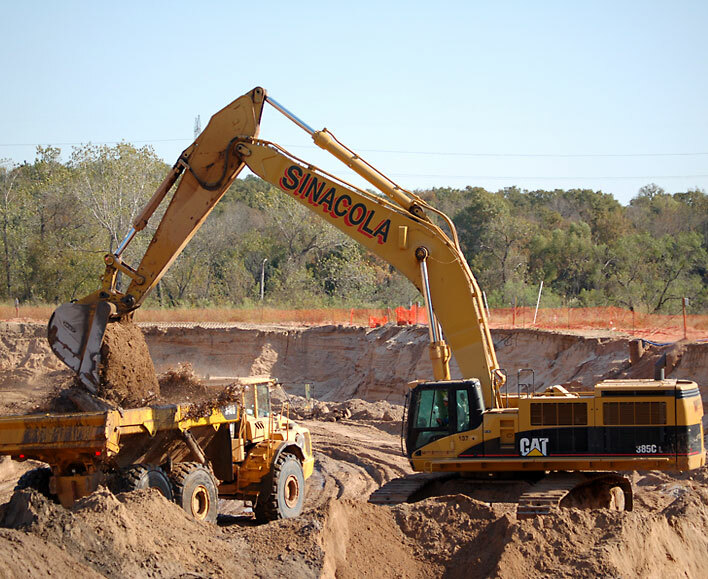 Construction Material Mines | Mario Sinacola & Sons, Excavating, Inc.
Mario Sinacola & Sons Excavating, Inc. works for major construction material producers at quarries and sand plants throughout Texas and Oklahoma. 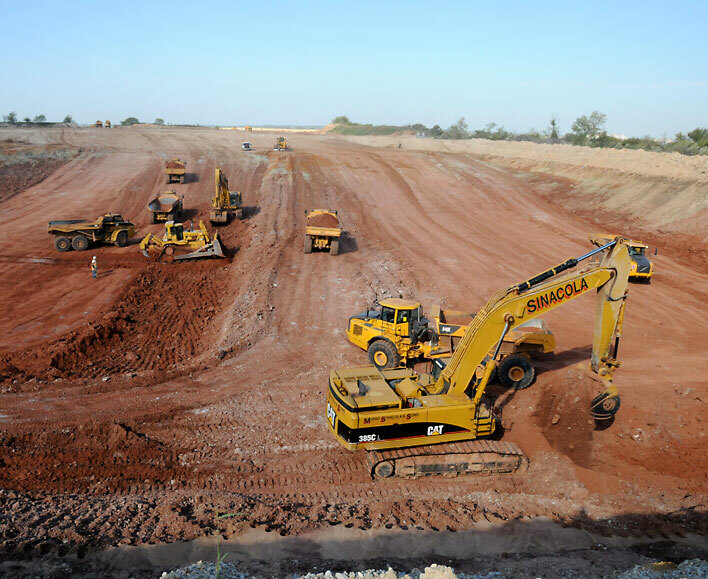 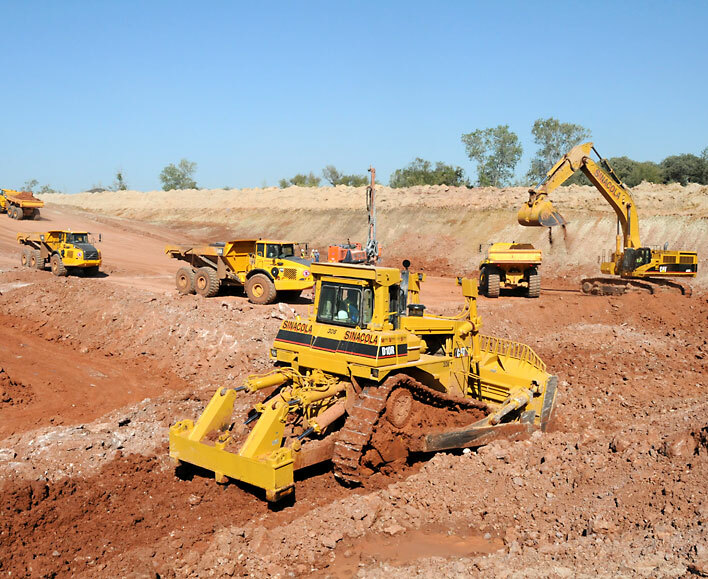 Past projects range from pre-stripping and overburden removal to actual mining of the raw material. 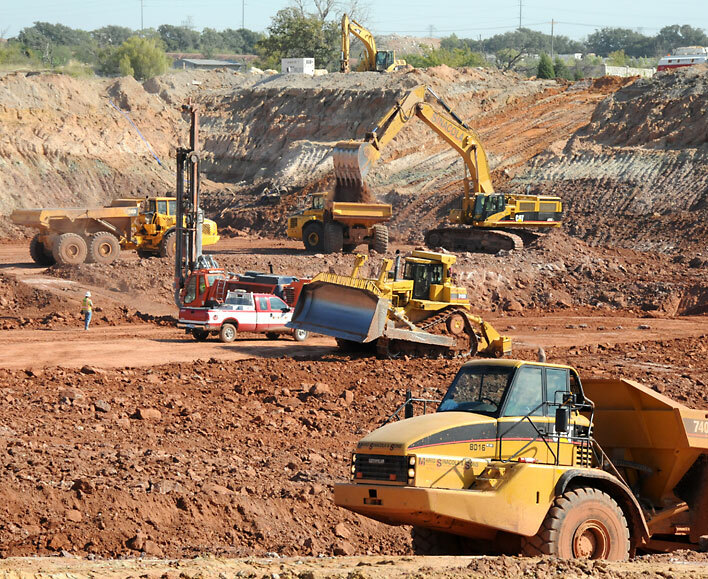 At a project adjacent to the Brazos River, MSSEI designed a deep well dewatering system to allow the mining of the sand deposit. 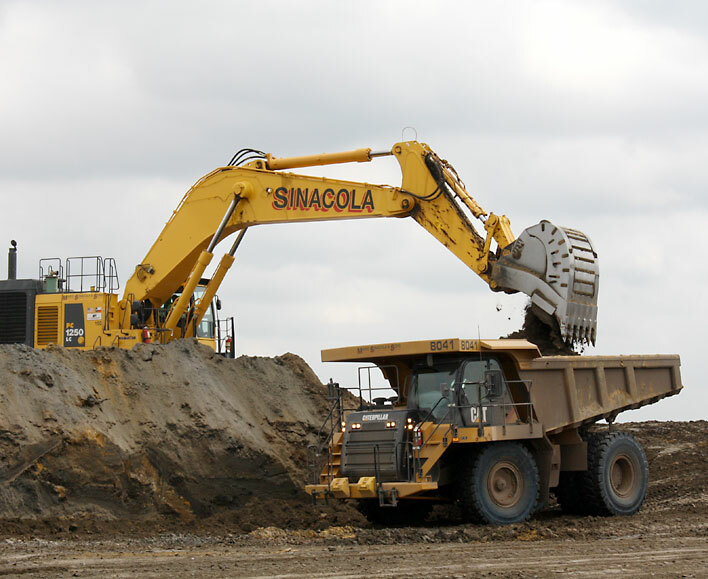 Though hit with two major flood events, the system maintained the water level so that all usable product could be mined. 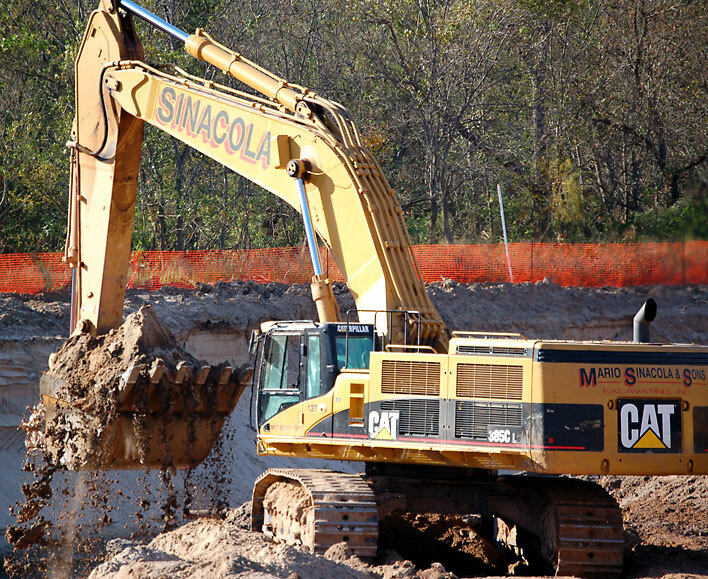 MSSEI has the MSHA training and environmental sensitivity to be the contractor of choice for any material mining project.